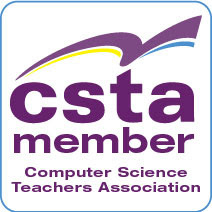 Computer Science Teacher: Are you going to SIGCSE 2010? I see over on the SIGCSE 2010 blog that early registration for SIGCSE is now open. 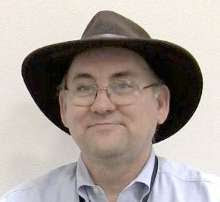 In my opinion SIGCSE is the most important computer science education event of the year. Now I know that a lot of people see it as primarily a higher education event and for sure most attendees are in higher education. But there are always a lot of high school computer science teachers there. Lots of AP CS teachers. Lots of CSTA (Computer Science Teachers Association) members. And usually a lot of local high school CS teachers taking advantage of the opportunity. It’s tops on my list every year. ISTE (nee NECC) may be larger in shear numbers but SIGCSE is larger in terms of the density of computer science educators. And I’ll tell you a little known (or perhaps just little admitted) piece of information – the overlap between advanced high school courses and entry level college courses is pretty high. So there is always a lot of value in attending SIGCSE for high school CS teachers. The SIGCSE Technical Symposium addresses problems common among educators working to develop, implement and/or evaluate computing programs, curricula, and courses. The symposium provides a forum for sharing new ideas for syllabi, laboratories, and other elements of teaching and pedagogy, at all levels of instruction. We invite those interested in computer science education and computer science education research to contribute to SIGCSE 2010. SIGCSE 2010 continues the long tradition of bringing together colleagues from around the world to make contact via paper, panel, poster and special sessions, as well as workshops, birds-of-a-feather, and informal settings at breaks and meals. We celebrate and encourage these contacts that allow us to renew and make new connections as we discuss the challenges and excitement of computer science education. SIGCSE is March 10-13, 2010 in Milwaukee Wisconsin this year. That’s actually a good thing I think. I am expecting hotel and airfares not to be too outrageous. So it may be more affordable for more people. Well I’m planning on going. I hope to see many of you there.